Is it already Friday again? Hey, I'm not complaining! 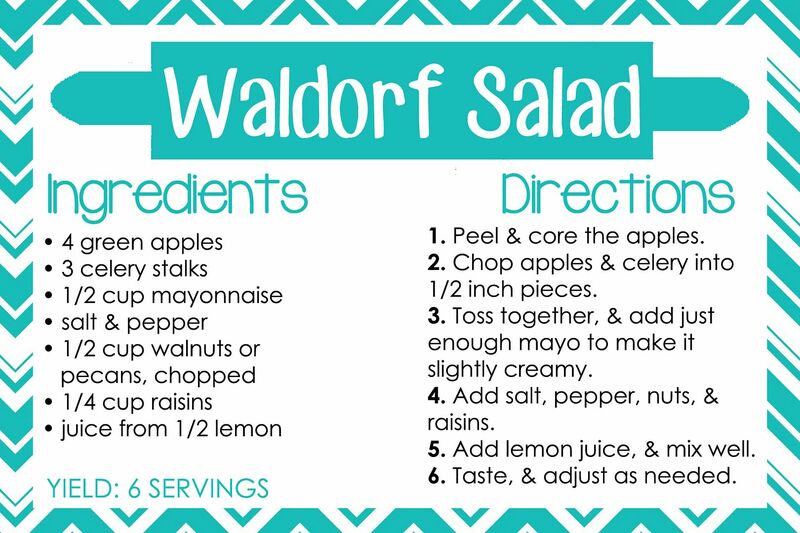 But that means it's time for another recipe, and I am so excited to share one of my favorite cold side dishes ever... Waldorf salad! If you are having company over and need one more item to go with the fabulous meal you have prepared, why not try this out? 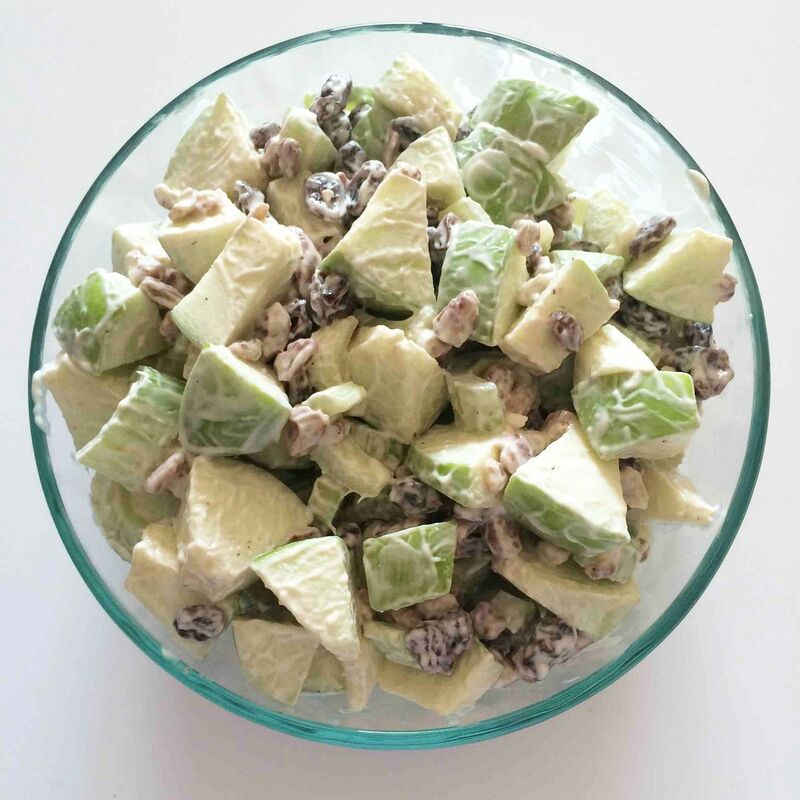 Now that it's warming up outside, it's even better - but I won't lie: Waldorf salad is even on my Thanksgiving menu. Yum. It goes great with BBQ, grilled meats, or anything heartier. 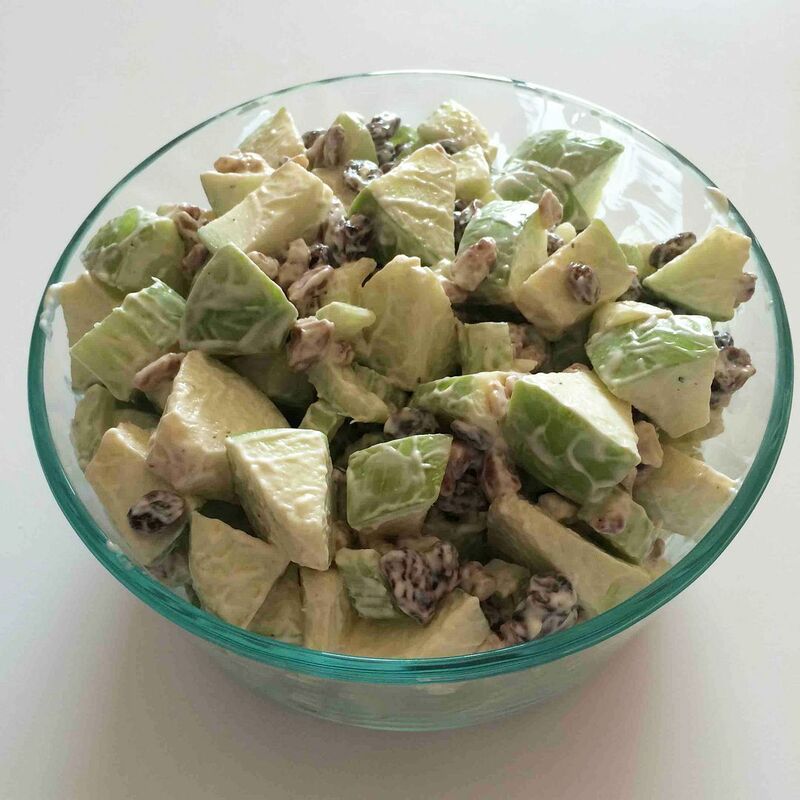 It lightens up the meal just enough... and I find that even people who claim to not like celery enjoy this salad. Maybe it's the crispness of the green apples... I don't know. But it's a winner for sure. A lot of people make this with grapes instead of raisins... and I totally like it that way sometimes. Just know that you can substitute them, and the salad will still be delicious. And I also wanted to point out how I love that this is called "salad" because it's definitely not very healthy... but it makes me feel better. 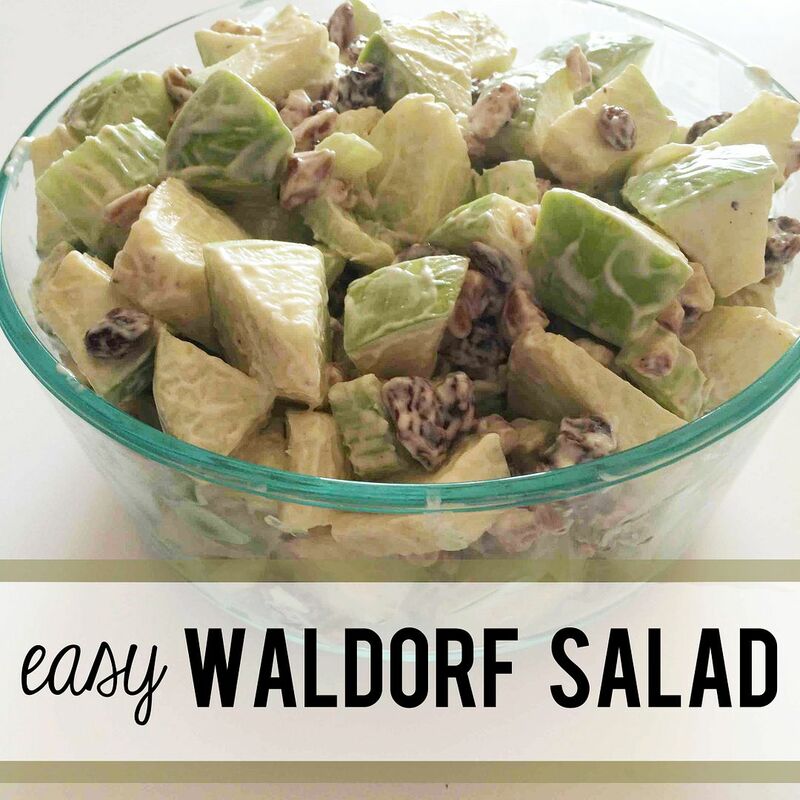 You can also choose to use walnuts instead of pecans. I enjoy both, but sadly, I am allergic to walnuts... so I try my very best not to eat them. Luckily, pecans are just as delicious, and they work very well in this recipe. You choose whichever you like best! There's a lot of room to play around. 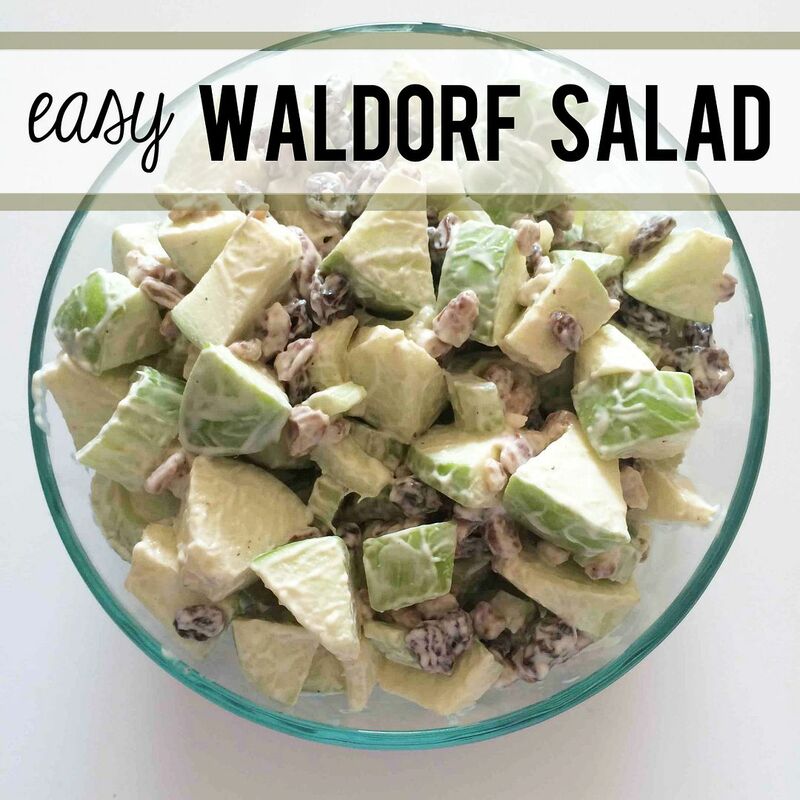 Do you like Waldorf salad? That looks really good! I will have to make it too.